This sophisticated Mediterranean 5-bedroom split floorplan with study is situated on a cul-de-sac with ½ acre of property. Breathtaking double fairway, lake & bridge views are enjoyed from the oasis of the private fenced yard, loggia, 36×18 pool, and over 50 tropical trees. A paver driveway takes you to the inviting French doors. Teak floors, crown molding & faux cast-stone columns highlight the dining room. The living room has volume beam ceilings. The gourmet kitchen has an enormous granite Island, Sub-Zero, and 6-burner Viking range along with plentiful storage, all overlooking the stone fireplace in the family room. The master suite is huge, with dressing area, 2 California walk-ins, and a marble, remodeled bath with a 2-showerhead atrium shower. New roof in 2005. 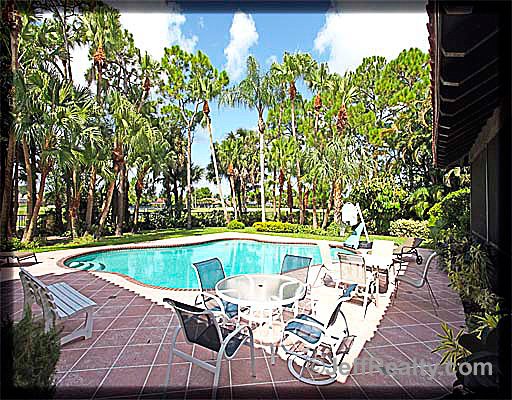 Posted in PGA National, PGA National homes, PGA National homes for sale on August 8, 2011 at 3:09 am.